Join us on Wednesday, November 15, 2017 from 10am – 3pm at the EQT Rec Center. 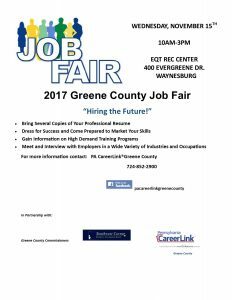 Bring your resume and meet local and regional employers. 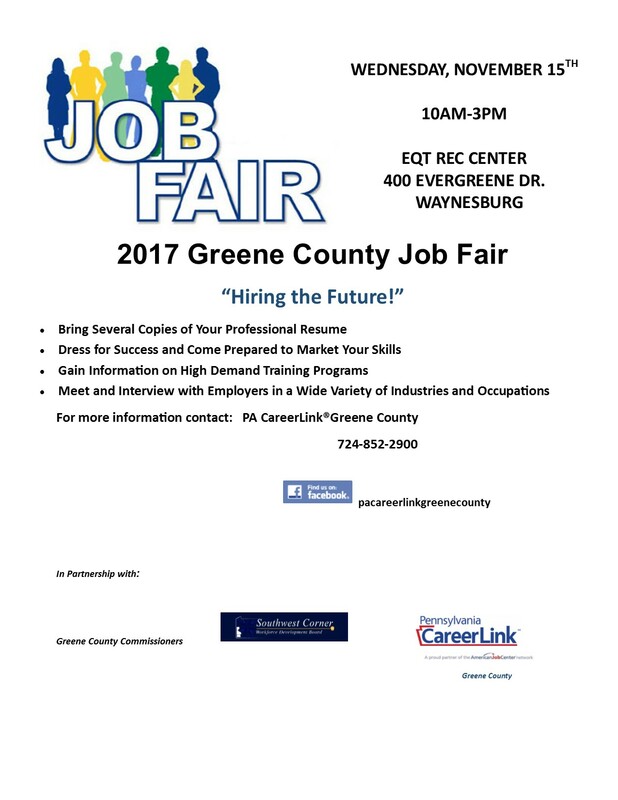 See flyer below for more info, and contact PA CareerLink Greene County at 724-852-2900 for more info!